Set Up: 20x30 grid with two teams (can use neutrals if uneven numbers). Activity: 4 goal game. One team attacks two goals on same end line, and other team attacks opposite two. 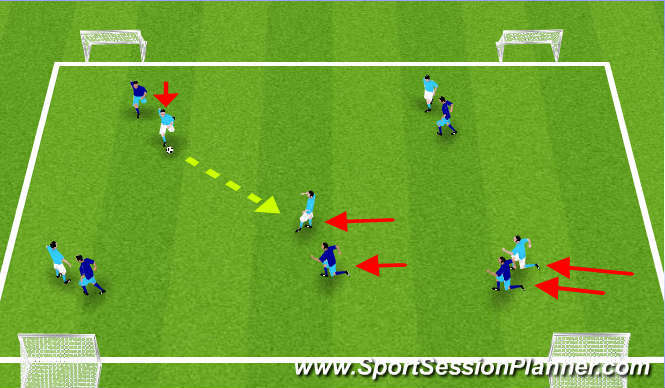 Coaching Points: If one side is shut down by defenders, don&apos;t force it, go the other way. Good quality passing, quick decisions. Play possession and don&apos;t force shots.